Despite being very talented, it can't be easy trying to forge your own career in the same realm as an illustrious sibling, in this case John Hackett's brother, Steve. 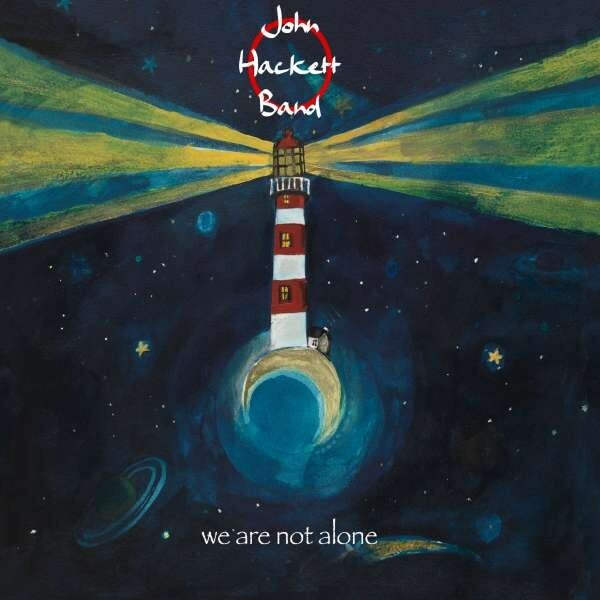 John Hackett came to prominence as a member of Steve Hackett's solo band in the late seventies. Those of us old enough will recall John Hackett playing bass pedals with his hands. John Hackett has issued eight solo albums to date, but only two have been in the Rock genre, this however is the first effort as a band which is fair enough as his cohorts have contributed to the song-writing and not just their skills as musicians. Aside from John Hackett on multiple instruments and vocals, there's Nick Fletcher on all things guitars, Jeremy Richardson providing bass and vocals with Duncan Parsons on drums. Of the nine tracks on offer, four are instrumentals. Of these, 'Blue Skies of Marazion' and 'Ossian's Lament' are both in the vein of the acoustic guitar and flute tracks from early in Steve Hackett's solo career, while 'Queenie And Elmo's Perfect Day' has a seventies TV show soundtrack feel to it in places ('Kojak' springs to mind) and some Jazz soloing from Fletcher. Closing number 'Winds Of Change' is a lengthy workout where both John Hackett and Fletcher get plenty of room to flex their ability, the latter delivering a Jazz Rock section that stays just the right side of relevant. The songs probably fall into Soft Rock territory, not least because the vocal capabilities are a little limited, but that said, they are perfectly good tracks with fine hooks and refrains. Also, I'd say this album is rockier than its predecessors. 'Take Control' is split into two quite separate sections, the first opens like Jethro Tull before moving into something that reminds me of the Canterbury sound (Camel, Caravan...), while that feel is retained in part two, there's also the presence of a tasty Blues guitar. Listen out for the Steve Hackett/Genesis bit at around three minutes forty seconds. 'Never Gonna Make A Dime' is firmly in the early Camel mould. Both 'Jericho' and 'Summer Lightning' are in need of a more dynamic vocal delivery which would be my one criticism of the album. The second disc is a live show recorded at the Classic Rock Society which demonstrates what a fine band they are but also reinforces the need for a really good singer.